Bacupari is a fruit from South America. It is believed to be a native of Brazil, Paraguay or Northern Argentina. Though collected mostly from wild, it is also cultivated sporadically in these regions. Leaves simple and opposite, dark green, leathery, lanceolate, 10-20 cm long. Flowers white, fragrant, produced in axillary clusters, 1.5 to 3.5cm long, 1 cm wide, 2 cup reduced membranous sepals (outer shell) of 2 3 mm length; sometimes with brown canals and corolla with 4-5 free petals, whitish cream, reflex, 6 to 7 mm long and 3 to 5 mm wide. Fruit ovoid, pointed at the distal end, 3-5 cm long and having a thick, orange peel which is easily broken to reveal a white, sweet sour, aromatic pulp. 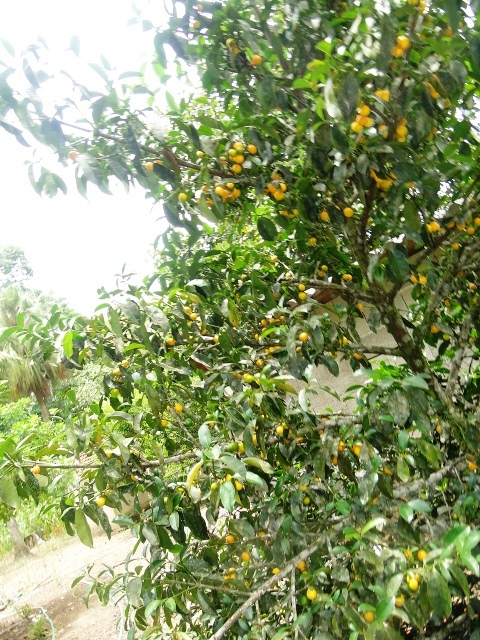 The fruits are sweetish, somewhat astringent and refreshing. These are eaten fresh. Even the bark can be consumed. 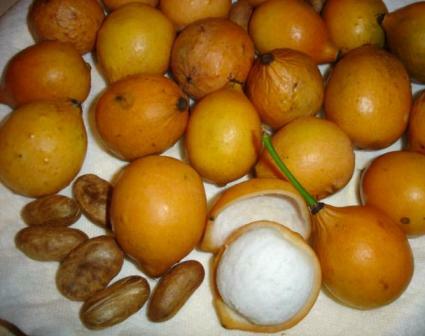 The fruits are also suitable for juice and making into a jelly. The seeds are used medicinally as a poultice on wounds. 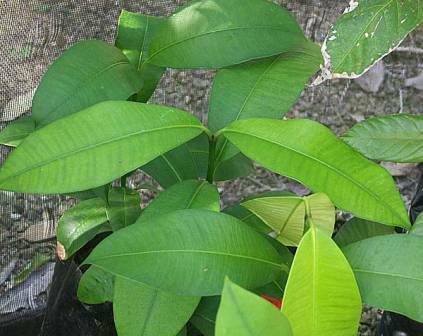 Besides yielding edible fruits, a bacupari tree looks quite ornamental because of its glossy green leaves and symmetrical shape. So it makes a good garden tree too. It grows best in fertile soil with abundant moisture, and the trees tolerate shade. 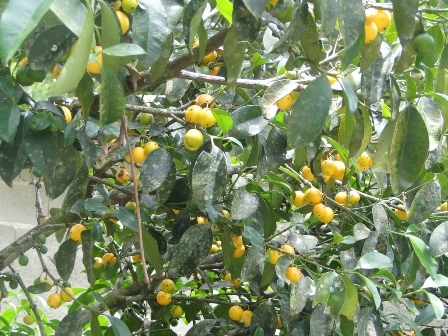 Bacupari may take form 7-10 years to produce fruit, but even young trees are very productive, often bearing 500 fruits or more. Propagation is by seed. The seeds do not stay viable for long and should therefore be planted as soon as possible.